Food Substitutions - Can they work? I stumbleupon a great graphic that takes all those nasty calorie laden foods you love and tells you why you crave them. If you don't like pictures there are many charts that break down each of your cravings, tell you what vitamins and minerals your body requires, and suggest healthy foods to substitute for junk food cravings. The first food swap on most of these charts is chocolate. If you crave chocolate it's because your body lacks magnesium and this craving can be satisfied by eating raw nuts. Really? Only if you never eat spinach, salmon, beans, and whole grains. If you did substitute raw almonds for chocolate, where is the advantage? One ounce of dark chocolate contains 140 calories and one ounce of raw almonds, which is 22 almonds, contains 164 calories. Food substitution is not the answer. 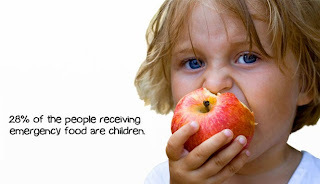 The physiological aspect of nourishment is rarely the problem. You are not overeating because your body lacks tryptophan, tyrosine and silicone. For 99% of the people reading this article, your food cravings are psychological and your eating is emotional. Behavior modification, or will power is where you should put your efforts, not chart reading. Finding behaviors that make eating less impulsive is the solution. 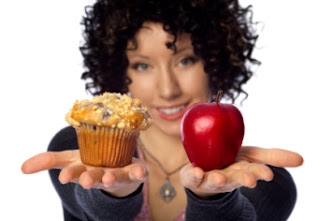 In other words exchanging bad eating habits for healthy eating habits is the correct substitution behavior to target. As a psychologist, I will say that I couldn't agree more! Is What You Eat Your Choice?